Are you looking to tap into a portion of your home’s equity? Let one of our certified Reverse Mortgage counselors help you decide whether a reverse mortgage is right for you. A reverse mortgage is a loan available to homeowners who are 62 years of age or older. There are several ways you can access funds from your reverse mortgage loan and your obligation to repay the loan is deferred until you (or a qualified survivor) pass away, the home is sold, you cease to live in the property as your primary residence, or you breach the provisions of the mortgage (such as failure to maintain the property in good repair, pay property taxes, keep the property insured against fire, etc.). WACOG’s Certified Housing Counselors provide one-on-one reverse mortgage counseling so that clients receive the information they need to make an informed decision while also avoiding predatory lending practices. A: A reverse mortgage is a type of mortgage that allows homeowners, 62 years of age or older, to convert part of their home’s equity into cash. According to the U.S. Department of Housing and Urban Development (HUD), many seniors use reverse mortgages to supplement social security, meet medical expenses, and make home improvements. If you have some equity, a reverse mortgage may be a way to supplement your income and stay in your home. As long as you continue to occupy the property as your primary residence, the loan does not have to be repaid. Q: What is a Home Equity Conversion Mortgage (HECM)? A: A Home Equity Conversion Mortgage, more commonly referred to as a HECM, is the most frequently used type of Reverse Mortgage. It is insured by the Federal Housing Administration (FHA) protecting borrowers from any interruption in loan proceeds, should the lending institution become unable to fulfill loan obligations. Q: What is the difference between a reverse mortgage and a bank home equity loan? A: With a traditional second mortgage, or a home equity line of credit, you must have sufficient income versus debt ratio to qualify for the loan and you are required to make monthly mortgage payments. The reverse mortgage is different in that it pays you. The amount you can borrow depends on your age, the expected interest rate, and the appraised value of your home. You don’t make payments because the loan is not due as long as the house is your principal residence. Like all homeowners you still are required to pay your real estate taxes, hazard insurance, and association dues as required. Also, with a traditional second mortgage you can be foreclosed on or forced to vacate your house because you missed your mortgage payment. 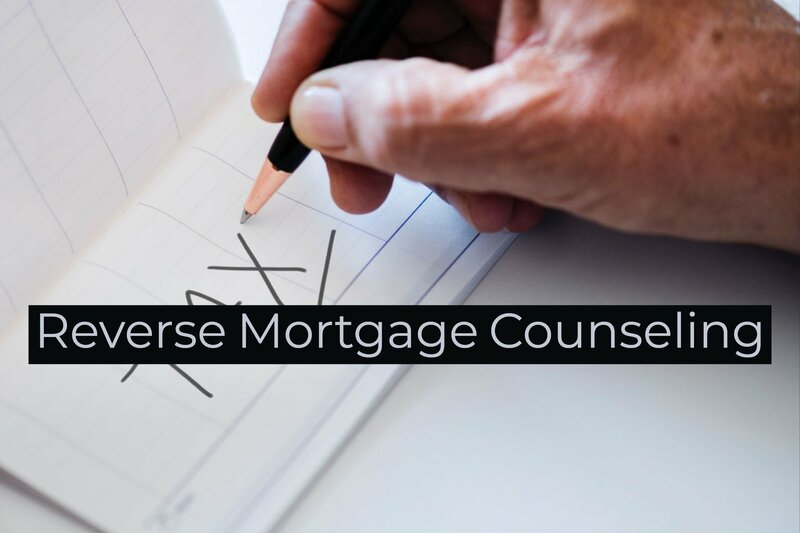 Q: What can I expect to learn in a reverse mortgage counseling session? How a reverse mortgage works. The financial and tax implications of entering into a reverse mortgage. The different kinds of options available to borrowers using a reverse mortgage. The costs associated with these kinds of loans. Other options available to the prospective borrower, including housing, social services, health, and other financial alternatives. The counseling session also offers you the opportunity to ask questions of a trained professional who has no financial interest in whether or not you choose to establish a reverse mortgage. This Web site includes links to several useful consumer guides and provides detailed answers to common questions about reverse mortgages. A Web site devoted to elder issues with useful consumer guides. The National Council on Aging also offers a Web-based “Benefits Checkup” that helps seniors with limited income and resources find benefits programs that help with prescription drug costs, rent, energy bills, food, and more. The U.S. Department of Housing and Urban Development (HUD) Web page provides basic information about reverse mortgages and a list of HUD-approved lenders. We recognize that consumers have options. That is why we are committed to providing the highest level of quality in our field. Our counselors are accredited and continually train to remain certified and knowledgeable about the most recent developments in this field. Some reverse-mortgage offers can be scams. High-pressure sales, tricky advertising messages, and misrepresentation of risk are some of the warning signs of a scam. With the help of an unbiased third-party like WACOG, you can better protect yourself and your loved ones from scams. Financial education is a part of our mission and our HUD-approved reverse mortgage counselors provide unbiased information to help each individual homeowner understand all available options. The fee for our Reverse Mortgage counseling is $135, which is payable at closing if a household falls below 200% of the poverty level.